We've rolled our a new virtual classroom build across all global locations. This new build introduces some amazing features and improves overall stability of the app. 1) Introducing "New Enhanced Recorder"
New Enhanced Recorder is designed to record the entire browser tab including all the app icons and layout. Customers can choose between current standard and all-new enhanced recorder layouts for recorded videos. Improved DPI (dots per inch) offers improved quality for all your documents on the whiteboard. Documents in general with a higher DPI will look much better when compared with those of a lower DPI. Now, the documents will look amazing across all the devices. Similar to our plugin-free screen sharing with Firefox browsers, this new update introduces the same technology with Chrome browsers version 70+ and above. This offers faster and improved performance when sharing entire desktop screen, application window or Chrome tab. Introducing a new global option to mute or unmute webcam of all attendees similar to the microphone option available today. Removed unnecessary black areas on the videos stacked on the right top of the application screen and increased the quality. Teaching maths is now lot of fun. With this new feature, you can dynamically find out the angle of a straight line. Angles are measured in degrees, written °. The maximum angle is 360°. This is the angle all the way round a point. Half of this is the angle on a straight line, which is 180°. Introducing dynamic text editor support to select font, size and colors when writing text on the whiteboard using the 'text tool'. Improved bandwidth consumption when switching between video conferencing, screen sharing and recording by adapting to the conditions and lowered CPU usage across all devices. [IMPROVEMENT] Rotate icon is pixelated. Changed to new icon. [IMPROVEMENT] Improve bandwidth when switching between video conferencing, screen sharing and recording by adapting to the conditions. Great News! 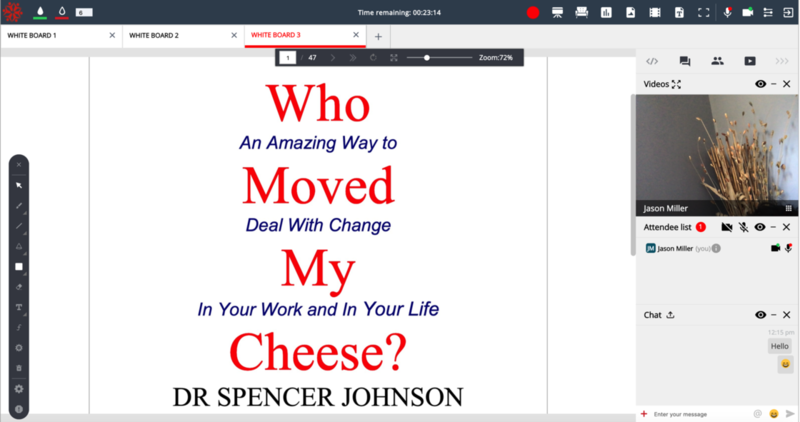 Based on popular request, we've rolled out an update to allow entering the virtual classroom 30 minutes in advance as teacher/presenter to prepare the class session. You can upload and prepare documents, presentations, and other artifacts in advance on the whiteboard to deliver engaging classes. Starting today, BrainCert platform and services will serve requests in TLS v1.3 protocol with 0-RTT support. TLS 1.3 is the newest, fastest, and most secure version of the TLS protocol. SSL/TLS is the protocol that encrypts communication between users and your website. When web traffic is encrypted with TLS, users will see the green padlock in their browser window. By leveraging the TLS 1.3 feature, traffic to and from BrainCert platform and all service endpoints will be served over the TLS 1.3 protocol when supported by clients. 0-RTT is a feature that improves performance for clients who have previously connected to BrainCert. It allows the client’s first request to be sent before the TLS connection is fully established, resulting in faster connection times. 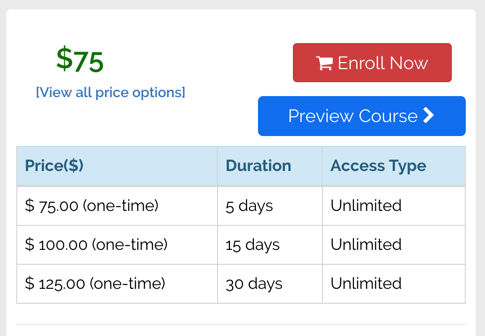 Students now easily look at the different pricing options offered by the instructor and buy a subscription package easily. We've launched a brand new 'Admin Dashboard', and enhanced reports based on bigdata, making it even easier for you to quickly visualize the LMS data. Super Admin will now have valuable insights about the Enterprise LMS platform usage right at their fingertips. Enhanced visibility. Quickly see all the global reports data, the top courses tests and key user activities. Increased productivity. Understand how people work and collaborate in LMS, ensuring you maximize user efficiency and ROI. Simplified processes. Easily onboard and train new admins, and manage your content and collaboration — with minimal IT effort. 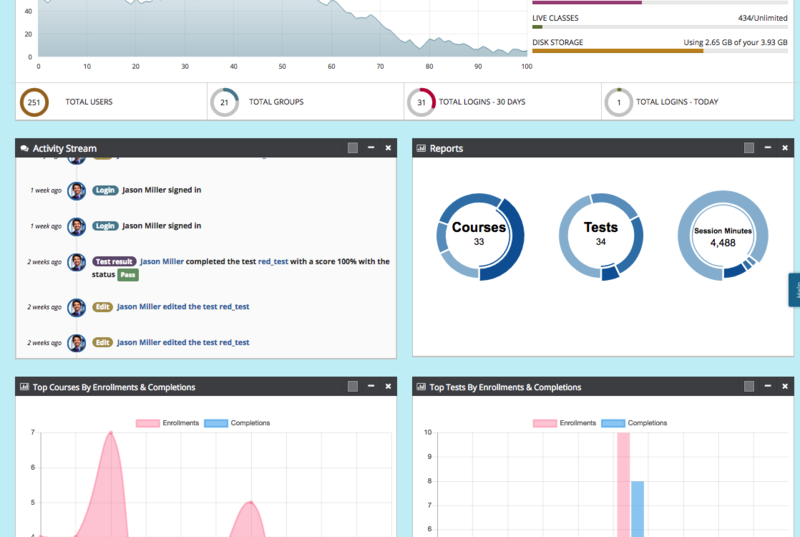 Log into your admin console and start your new admin dashboard experience. In 'Account & Settings" -- "List users", new filters have been added to filter users by groups, user type and account status. There is now also a new column that lists all the 'Groups' the user is part of. We've rolled our a new virtual classroom build across all global locations. This 'performance build' was created to fix the issues affecting our users and improve overall class delivery experience with our new backend updates and improvements. [NEW] Avail BrainCert's new dynamic SFU/MCU engine (codename 'Fast Tiger') that is highly tuned to provide an immersive audio and video experience. All 15 of our global locations is now powered by this new technology. [FIX] Whiteboard toolbar is not shifted to the right side when using RTL interface language such as Arabic and Hebrew. [IMPROVEMENT] Improve 'capacity planner' tool that comes into play when you schedule a live session. This tool helps to create a 'blueprint' for the session by analyzing various metrics such as compute resources available in a global datacenter, optimal network path required to achieve very low-latency, switch to dynamic SFU or MCU configuration (core technology), low bandwidth optimizations and congestion control. Great News! We've introduced two new options to manage your test delivery. In 'Questions' page, click on "Test Delivery Settings". You'll now see the new features that is designed to pull questions evenly from all objectives and/or based on questions difficulty level. Randomize questions order during test → The question order will also be randomized ensuring that two students won't be shown the exact same questions. 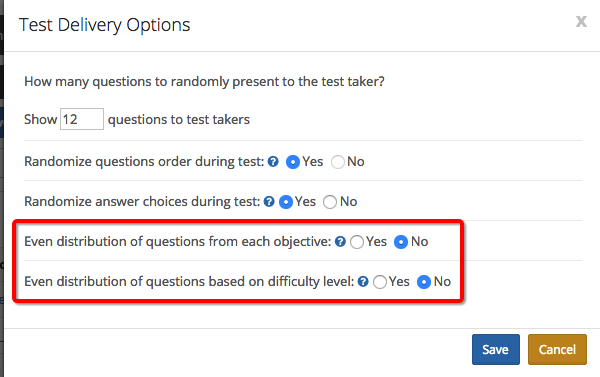 Randomize answer choices during test → This feature ensures the answer choice order will be randomized ensuring that two students answering a particular question will see the answer selections in a different order. Even distribution of questions from each objective → This feature pulls the questions evenly from all the test objectives ensuring that all objectives are given same priority. 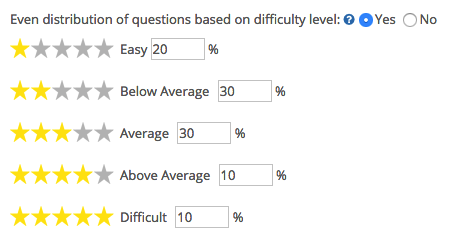 Even distribution of questions based on difficulty level → This feature pulls the questions evenly based on the difficult level percentage configured. Make sure the the total percentage distribution equals to 100%. You typically implement Email verification as a self-service Password Reset model. When a user requests password reset, the LMS system sends a verification code to an email address that the user authorized during enrollment. 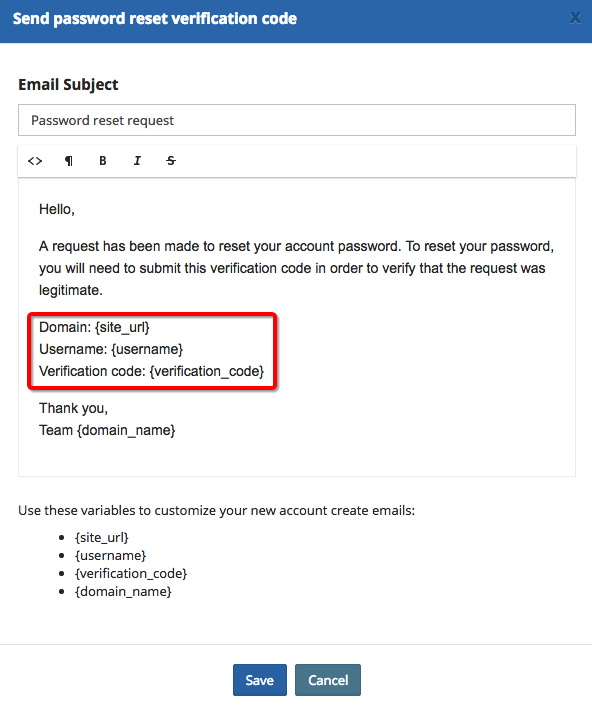 To verify identity, the user then submits the code on the Password Reset Verify page. Now, you have the ability to customize this e-mail template. DO NOT turn this off. In Account & Settings --> User Registration --> Go to 'Notifications' tab and click on 'User Notifications'. Click "Edit email template" for Send password reset verification code' feature and customize the text if needed. Click 'Save' button to apply changes. 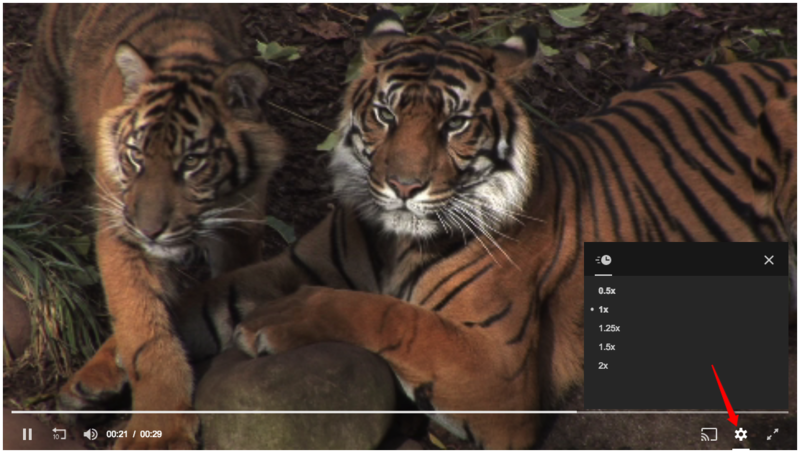 This feature was designed for learners who might want to speed up a lecture using our pre-set rates (which are 0.5x, 1x, 1.25x, 1.5x, and 2x) or savor a great moment by slowing a video down. Casting enables a viewer to use Google Cast or Apple AirPlay technologies to stream video and audio content to a compatible TV or sound system. With this casting feature, a student can tap an icon in the control bar to stream a lecture content on a cast-compatible device. If no compatible device is detected by the player, no cast icon appears. Surely Enterprise LMS will start publishing changelogs very soon.